Sugar cane aphids are having a sour impact on sorghum production. 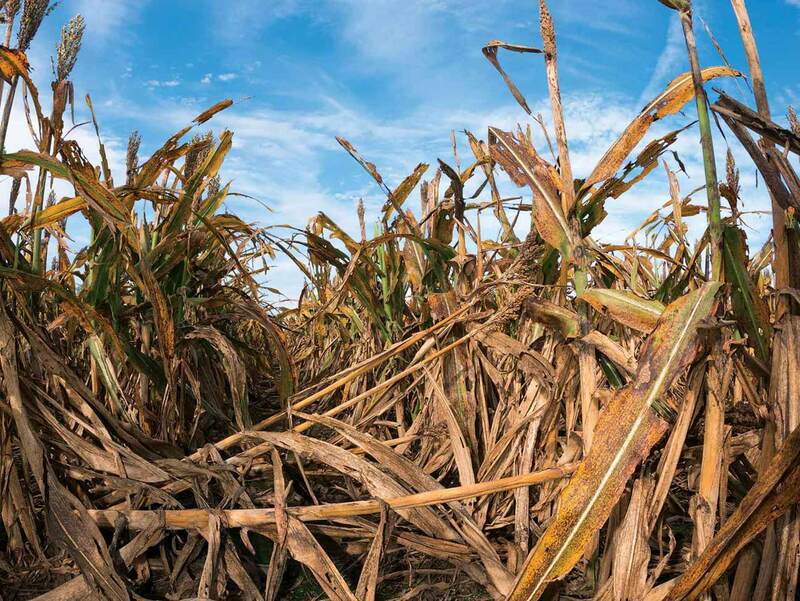 The troublesome pest is hurting yields, hampering harvest operations, and increasing production costs across a score of states that stretch from coast to coast. 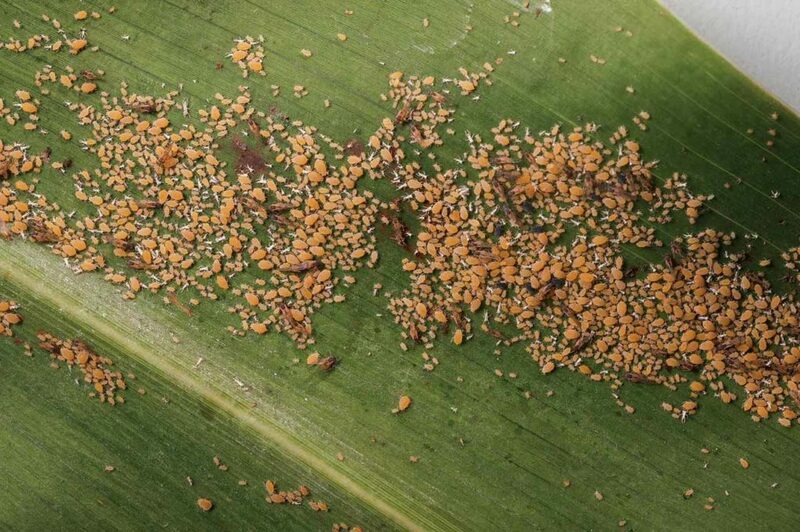 Sugar cane aphids colonize the underside of leaves to tap into sugar and nutrients, leaving plants unable to fill grain and maintain stalk strength. Excreted ‘honey dew’ hosts molds that also block photosynthesis. Virtually unknown prior to 2013 — when it appeared in 38 counties along the Gulf Coast—the sugar cane aphid had spread to 400 counties in 17 states by 2015 and added more to the list (including California) last season. 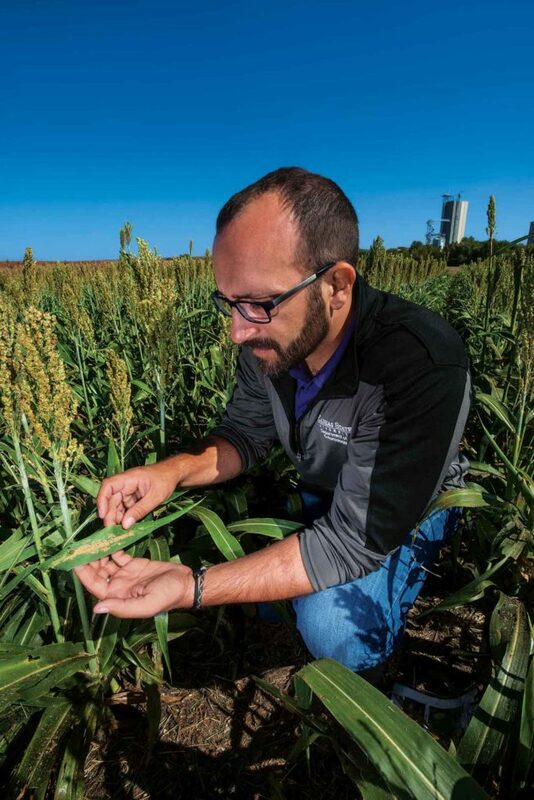 The sorghum industry has responded with research into control measures and management options to stem the onslaught. “If you can see the telltale shiny leaves from the honeydew the aphids leave from the pickup, then you’re too late,” says Scott Stewart, IPM specialist at the University of Tennessee. Treatment thresholds vary by region and by growth stage, but research at Louisiana State University shows that when they’re reached, timeliness is critical. “Our threshold at the boot stage is 50 aphids [a quarter-sized colony] on leaves of 20% of the plants. Being just five days late with the insecticide application resulted in a yield of only 12 bushels per acre compared to 60 bushels while an untreated check made two bushels,” says entomologist David Kerns. Kansas State entomologist Brian McCornack says reducing damage from the sugar cane aphid requires an integrated management strategy that includes repeated scouting trips through the field. Control options. Kerns worked with three insecticides — Sivanto, Transform, and Lorsban. “They’ll all kill aphids, but they differ in residual control. Generally, Lorsban lasted 3 to 5 days, Transform about 7 days and Sivanto about 21 days,” he says. Integrated Pest Management practices can also reduce the impact of sugar cane aphids. “Johnsongrass in the field border is a favorite reservoir for them, so destroy it,” says Kerns. This miracle crop is shedding the stigma of being related to marijuana.